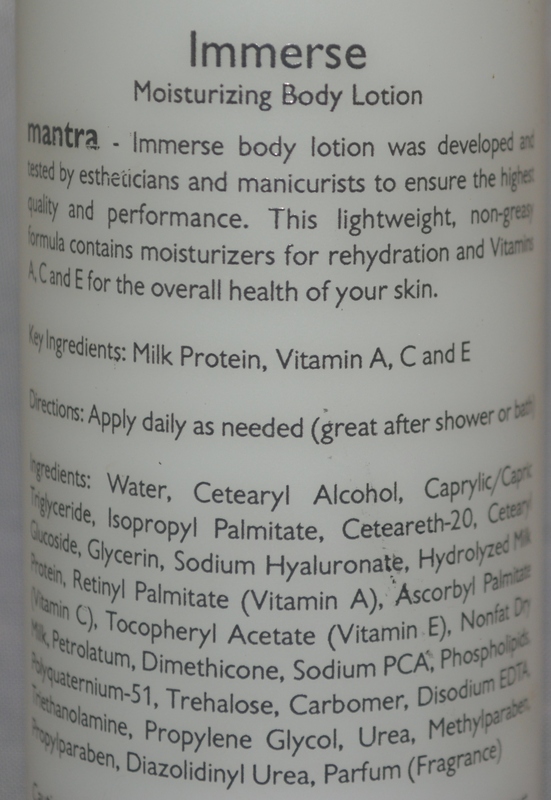 Mantra Immerse Moisturizing Body Lotion was developed and tested by estheticians and manicurists to ensure the highest quality and performance. This lightweight, non-greasy formula contains moisturizers for rehydration and Vitamins A, C and E for the overall health of your skin. For Dry Skin. Apply All Over Body, Non-greasy Feel, Replenishes Lost Moisture, Daily Use.